Baileys Tiramisu Cookie Cake - GetCooking! Twisted’s – Baileys Tiramisu Cookie Cake recipe. Combine booze, cookies and coffee in our Bailey’s tiramisu cookie cake. If you’re struggling for a dessert that needs to please a crowd, make a pud that delivers something for everyone. We’d love to hear your feedback on this video recipe format in the comments section below! 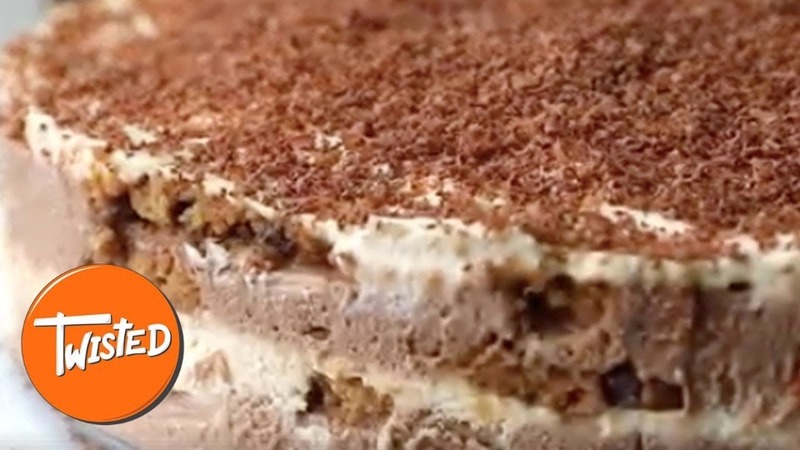 If you used this video to make Baileys Tiramisu Cookie Cake, please tell us how it went! View the original recipe notes here: Twisted’s – Baileys Tiramisu Cookie Cake.